Obviously there is higher ratio of engine repairs and engine faults in diesel engines because of their higher number selling ratio. 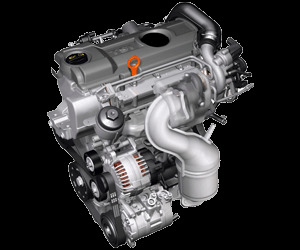 If you have a diesel Skoda engine and you are facing issue in its performance, Engines for Sale is the right place to come for best solution. Driving a car with a faulty engine has always been a tough situation to bear. If you feel that your Skoda diesel engine is giving poor performance, or it is giving strange sounds, or you feel it is heating up very quickly. These signs are clearly giving intimations that the time has come to change the engine of your vehicle. Don’t worry, here at Engines for Sale, it is not a big deal for us to offer you best working used and reconditioned Skoda diesel engines in best working and at the cheapest rates. Come and find the best match for you. Here at engines4sale.co.uk, we have a bunch of excellent efficient and professional diesel engine workers including some of the most experienced and renowned engine engineers. That’s why we are completely confident that our delivered Skoda diesel engines are fully tested and surely give 100% efficiency. We save you time and money. Our procedure of replacement engine is very fast and safe. That’s why people recommend us for finding best quality Skoda engine for sale. Normally we go to purchase a reconditioned or used Skoda diesel engine because we want to save as the new engine is costly and sometimes, out of range. If you don’t find it cheap, there is no need to buy. 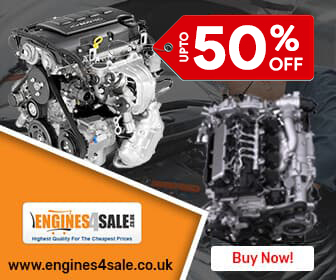 Here at Engines for Sale, we offer an exclusive discount up to 35 percent on purchase of any used or reconditioned Skoda diesel engine. The discount rate depends upon the condition you select. Warranty plays and important role whenever you buy anything, whether it is brand new or a bit depreciated. Same is the case with reconditioned Skoda diesel engine for sale. Here at engines for Sale, all our recon and used Skoda engines are sold under standard warranty of 6 to 24 months.